In many relationships, one partner feels like they have to beg for attention and affection while the other feels like they just can’t get any alone time. One partner feels neglected and the other feels pressured to say and do more. This can be really annoying! It even happens when both partners are committed to fostering a healthy relationship. 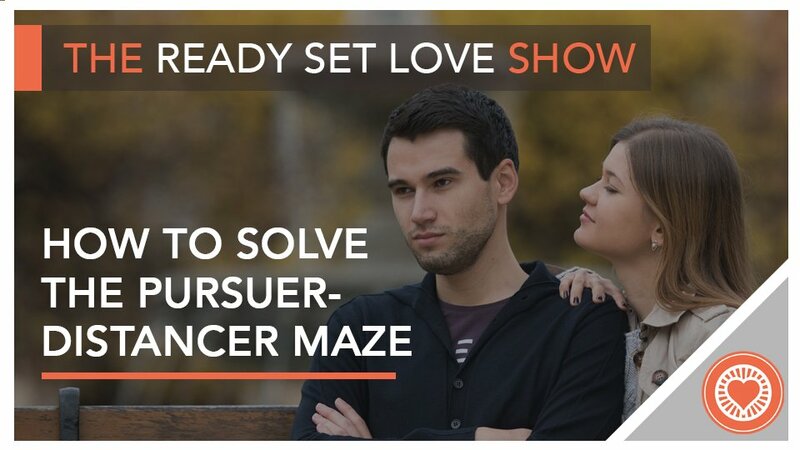 If you’ve experienced this dynamic, you’ll be happy to know it has a name: pursuer-distancer. Sometimes also referred to as an avoidant/ambivalent pairing or as over-functioner/under-functioner, this dynamic happens when partners have different insecure attachment styles. The good news is you can absolutely conquer this dynamic! This episode teaches you how. It’s important to note that this dynamic plays out to some degree in all relationships. In fact, the pairing of ambivalent and avoidant partners is the most common pairing there is! So it’s valuable for everyone to analyze their relationship through this lens. I believe that if we all had a deeper understanding of relationship dynamics, we would treat our partners more thoughtfully and reap the rewards of happier, healthier relationships! Learn about this dynamic and how to compensate for it in this episode!